In 1908 the Wright brothers were preparing for their first formal public flights. They had earlier flown publicly before select groups of people in 1904 and 1905 at Huffman Prairie, Ohio, and even on December 17, 1903 at Kitty Hawk. N.C. they invited the whole town out to watch their flights. However, due to a lack of vision and an extremely cold day, only six sagacious witnesses showed up. Wilbur Wright estimated that over 100 people had seen them fly at Huffman Prairie in ’04 and ’05. In 1908 after having secured the rights to their invention through their patent issued in 1906, and having reached purchase agreements with governmental entities they were ready to make formal demonstration flights before the public. 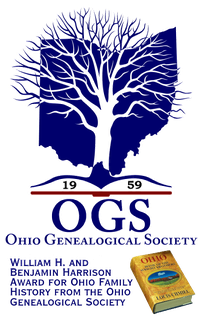 In the same time period Milton Wright made a visit to his cousin of seven decades, former Ohio Volunteer Infantryman Alexander Heywood of Troy, Ohio. From 1903 on, after the stories came out of Kitty Hawk of the initial flights of the Wrights, aviation aficionados in England and France began trying to develop gliders resembling those of the Wrights, of which they were informed by Octave Chanute. When word began to travel across the Atlantic to Europe in early 1906 about the reported quantum leap in the progress of the Wright brothers on Huffman Prairie, the first inclinations were to deny that it could be true. At an Aero Club of France meeting in early 1906, the dirigible aviator Santos Dumont sprung to his feet and declared the news to be impossible. Six months later he had set aside his hot air balloons and began trying to imitate the Wrights. The Wright brothers would not fly again until the summer of 1908 and in that period of time, from early 1906 on, aspiring aviators would continue to scramble to try to understand flight. Their meager results were constantly reinforcing doubts that the stories of the Wrights brothers could possibly be true. As Wilbur and Orville were tenuously exploring government contacts over the year 1906, in the summer Milton Wright received a telegram of the passing of an icon in the Wright family. On June 22 Milton’s last remaining sibling, his brother Harvey, passed away. The next day Milton traveled by train to Rush County, Indiana. Milton wrote a eulogy for his minister brother which was delivered at the funeral on Sunday June 24 before his congregation. Attendance was said to number between 500 and 600 people. Milton stayed on with family for two more days before returning to Dayton. The coming weeks and months would find Milton’s diary becoming increasingly laced with notations of visiting government officials and with references to correspondence being taken up by his sons. over the years. Finally by the spring of 1908, there were agreements worked out in both the United States and France. By late summer in 1908 the Wrights would be demonstrating their plane in Le Mans, France and at Ft. Myers, Virginia. Also in 1908 Milton Wright would go up to Troy to rekindle a six decades long friendship with one of his Miami County relations, Alex Heywood. Milton had been exchanging letters with Alex in the last few years, sharing with him some of the results of his research into their Wright ancestry. On January 21, 1908 he would spend the day in Troy with Alex and his wife Adelaide. Milton made this entry for the day into his diary: “Went on 9:45 train to Troy, Ohio to visit Alex Heywood at the crossing of the railroad at Franklin Street. Dined with them and came home on 5:25 train.” For sixty-seven-year-old Alex and seventy-nine-year-old Milton it was a time of reflection on all the Wright family members who came up through Bethel Township and Miami County, and the paths that their lives had taken. Franklin Street home in Troy, Ohio. with a museum display of open cockpit biplanes, a youth learning center, and annual fly-ins that draw biplane pilots from around the country. Later in 1908 Alex Heywood would be able to follow the success of his cousin Milton’s sons through the newspapers in Miami County, as they introduced the world to the airplane. While Milton was visiting with the Heywoods in Troy, Wilbur and Orville were focused on the job of getting ready to fly publicly later in the year. newspaper Le Figaro wrote, “I’ve seen him. I’ve seen them! Yes! I have today seen Wilbur Wright and his great white bird, the beautiful mechanical bird…there is no doubt! 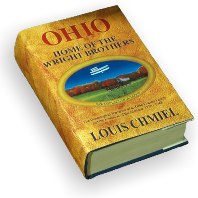 Wilbur and Orville Wright have well and truly flown.” Wilbur went on through the late summer and early fall of 1908 to eliminate any skepticism about the veracity of the word of the Wright brothers. At the same time Orville was preparing to make demonstration flights at Ft Myer, Virginia for the Army. 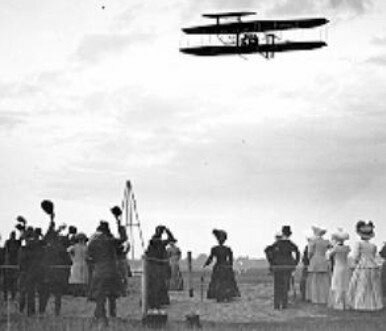 By the time Orville arrived at Ft. Myers, twelve days after Wilbur’s first flight, another week of flying in France had newspapers on both sides of the Atlantic singing the Wright’s praises. The London Times wrote that the demonstrations in France “proved over and over again that Wilbur and Orville Wright have long mastered the art of artificial flight. They are a public justification of the performances which the American aviators announced in 1904 and 1905, and they give them, conclusively, the first place in the history of flying machines.” Back in the States across the Potomac River from Washington, Orville Wright had a plane of his own to unpack, assemble, and demonstrate. By September 3 he had made his first flight around the grounds at Ft. Myer, and on September 9 he spent an hour in the air. News was traveling back and forth across the Atlantic with newspapers touting the growing successes of one brother and then the other. On the 13th of September all was well. Wilbur the older brother was always concerned about the well being of his younger brother. He had been concerned that Orville working alone might be distracted in his flight preparations by the glut of onlookers and well wishers he was attracting. With news of Orville’s recent successful flights, Wilbur was relieved. September 17 Washington time, midnight French time, there had been an accident. 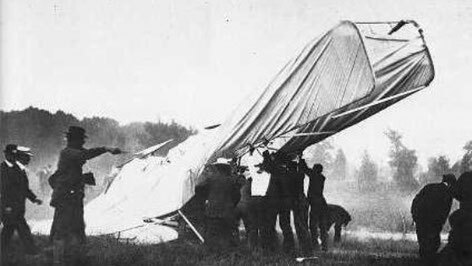 While in the air a propeller split creating a chain of events through which the rear rudder was rendered inoperable and Orville lost control of his plane. It fell from the sky. The military men first on the scene found Orville and his passenger Lieutenant Thomas Selfridge bloodied and unconscious. They were hurriedly ferried to the hospital, Orville with a broken leg, broken ribs, and an injured back, Selfridge with a severely fractured skull. Selfridge died shortly after arriving at the hospital. Receiving the news in Dayton Katherine was immediately on a train to Washington. She would again be spending weeks on end by Orville’s bedside, this time in Washington. 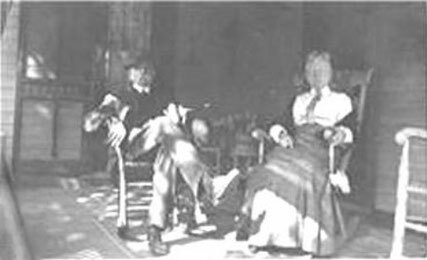 It had been another September, twelve years earlier that she and Wilbur spent at his bedside during the typhoid attack. Distraught at the news, Wilbur suspended flights in France. After spending several days sequestered waiting for more detailed news from the States, Wilbur learned that Orville was in stable condition, and he went back to meeting contractual obligations. On September 21, Wilbur broke Orville’s record for duration, with a flight of one hour and thirty-one minutes. By the first week of October, he was flying with passengers for over an hour at a time, all records. He was making front-page headlines around the world on a daily basis for weeks on end. on the 1st of November. The endless flow of good news from France was an excellent balm for the pain Orville was enduring in his recuperation. Wilbur’s dramatic successes would continue on through the end of the year. The wildly successful public flights of the Wright brothers in 1908 firmly ensconced them in the public’s mind as the inventors of the airplane…. Only $44.95 plus $5.00 media ship to the 48 contiguous United States of America, with secure online checkout through PayPal. See a list of libraries holding copies of the book here. a virtual museum of pioneer aviation. Kogainon Films profiles Nick Engler and Louis Chmiel in a new Knowledge Keepers story.